YAAAAAAAAAAAAAAAAAAAAAAY! 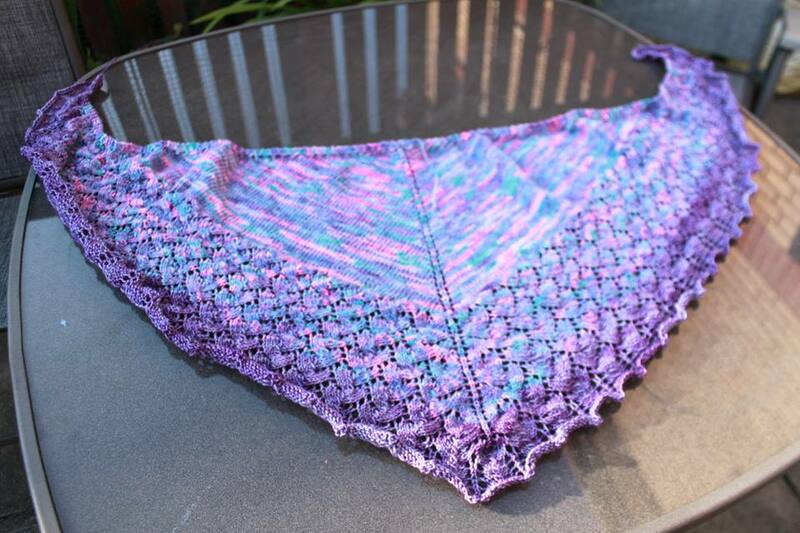 I have finally cast off my ishbel shawl!!! It still needs blocked. I had to unknit some of it as I dropped stitches and the new yarn wasn’t right at all. I used my fyberspates sock yarn that I had bought at Woolfest to finish it off and I think it fits right in. 😀 I finished this while watching the lovely Andy Murray win at Wimbledon…. although I did knit in the short breaks between serves as I was totally hooked since the game was so exciting! Im so pleased for him! He really did deserve that win. Well done Andy! !